On May 15, 16, and 17, 2017, professors Max Cameron, Sheryl Lightfoot, and Lisa Sundstrom hosted a series of international, collaborative, and interdisciplinary workshops on the future of democracy. 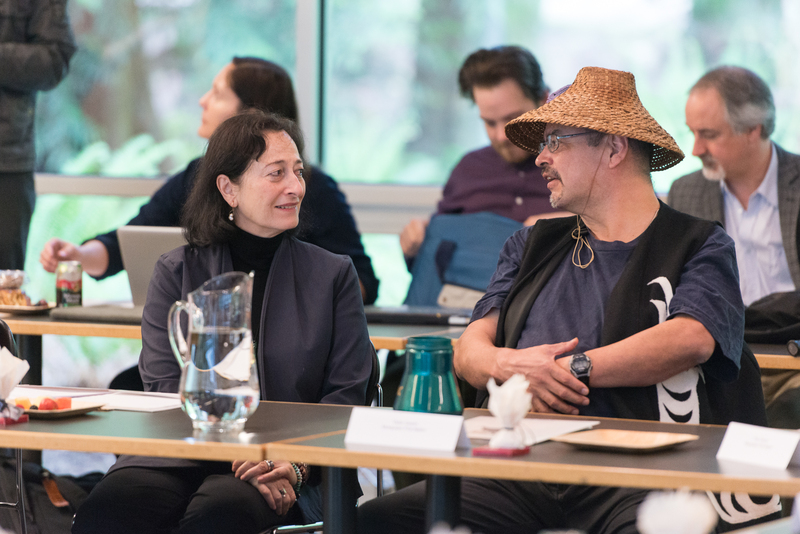 May 15 and 16, 2017: workshops on indigenous rights and self-determination, global rights and democracy, and human development and the quality of democracy were held at the Liu Institute for Global Issues at UBC. The workshops were organized by the Research Excellence Cluster on Global Challenges to Democracy: Rights, Freedoms, and Human Development, with generous support from UBC’s Office of the Vice President Research (VPR). The workshops were attended by an international and interdisciplinary group of scholars and practitioners. In 2016, Max, Sheryl, and Lisa were awarded a prestigious VPR Research Excellence Cluster to further their respective research programs and to engage in future collaborative research on the Global Challenges to Democracy. The recent workshops were one of their first undertakings as a Research Excellence Cluster, and now they are working towards an application for a wider SSHRC Partnership Grant on “Global Challenges to Democracy”. In aiming to develop a ‘cluster of expertise’ on democratization in Political Science – and in bringing together colleagues within the Department and researchers from other institutions – they seek to confront the major challenges and problems facing democracies around the world. To read more about the workshops and the Research Excellence Cluster, click here. May 17, 2017: Lisa, as Principal Investigator of a SSHRC-funded Connection Grant on Legal Mobilization and International Courts, and Freek van der Vet, Co-Investigator and Postdoctoral Fellow, hosted a one-day workshop with leading academics and practitioners whose work on international human rights courts is generating ground-breaking research. To read more about the workshop and the emerging network, click here.